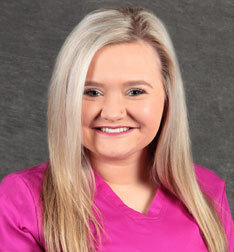 Megan joined the ADRC family in July, 2018. 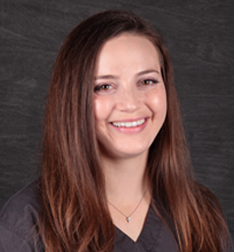 Megan’s fur babies include Maverick,a Maltipoo, Houston, an Australian Shepherd, and Cheyenne,a terrier mix. Megan’s favorite dermatological virus is the papilloma virus. After graduating from Texas Tech University in May, Tatum says she feels lucky to have found a job that allows her to work with her greatest passion…dogs! She has been with ADRC since August of 2018 and has 2 dogs of her own: Finley, a 4 year old Border Collie, and Phil, a 6 year old Husky/German Shepherd mix. 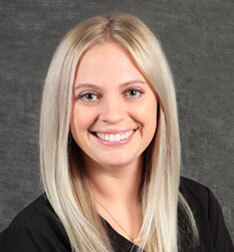 Tatum is originally from Wichita Falls, TX, but has called Grapevine ‘home’ for many years now. Her favorite dermatological issue is food allergies and the process of the food elimination diet. 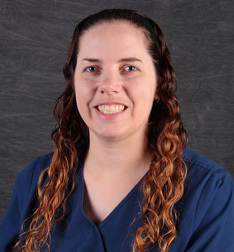 Ashley has worked at ADRC since May 2013. Ashley shares her home with three cats—fun “Schmigeial”, laid back “Sir London” and ornery “Saturn”. She also has a Chiweenie dog named “Kit”. One of her favorite dermatological conditions is flea allergy dermatitis because of experience with her own cat London. 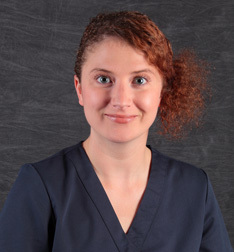 Christina joined the ADRC team in September, 2015. Christina lives with her tail-wagger Kingsley, a female miniature Dachshund. One of her favorite dermatological conditions is Pyoderma. Tamara has been a part of the ADRC team since February 2014. She shares her home with three dogs: Poncho, Riddick, Captain Jack and one cat Casey. One of her favorite dermatological conditions is lupoid onychodystrophy. Dr. Garfield diagnosed and treated her dog, Riddick, with this condition.